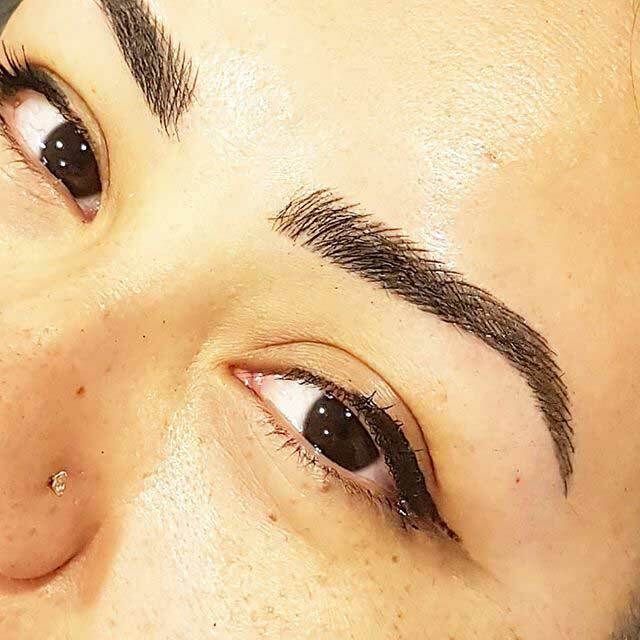 Eyebrow tattooing done by hand is called eyebrow embroidery or microblading. A small disposable blade attached to a pen-like device is used to etch very fine hair lines into your skin. The lines are crafted to flow with your natural hair and facial structure, creating extremely realistic results. The inks are implemented in these fine cut lines, leaving crisp, neat hair strokes that heal cleanly. A number of different looks can be created based on your existing eyebrow hair (if any! ), ethnicity, style, and your individual desire for either a light natural finish, or darker more dramatic brow. 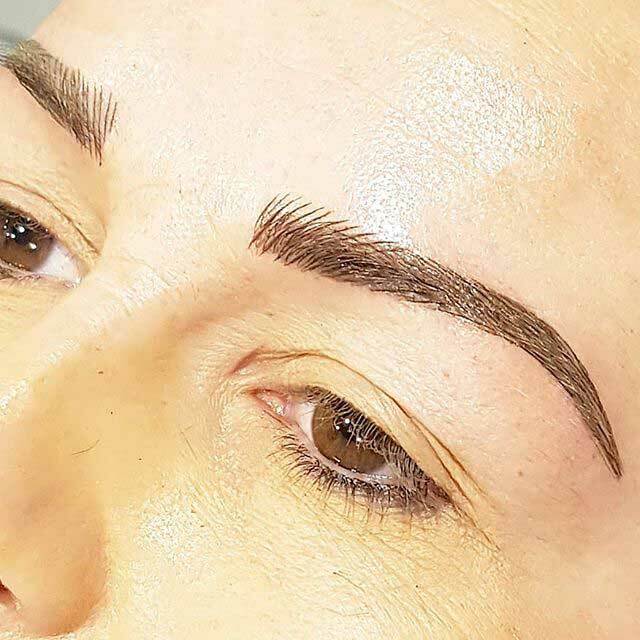 Eyebrow embroidery works well for those with limited/sparse eyebrows looking to be enhanced and restored, and is also a great solution for those that would like to fill out and reshape existing brows. The strokes are more visible when there is high contrast between skin and ink colour, and they can last 1-3 years depending on the skin type and colour chosen. Consultations are key for understanding your individual needs and desires, so please book a consultation, and come by and chat! Accutane and Retin-A use within 1 year (acne medication) Skin composition is altered and will not heal well. Must wait until 1-year post use. Retinol or Vitamin A user Skin composition is altered. 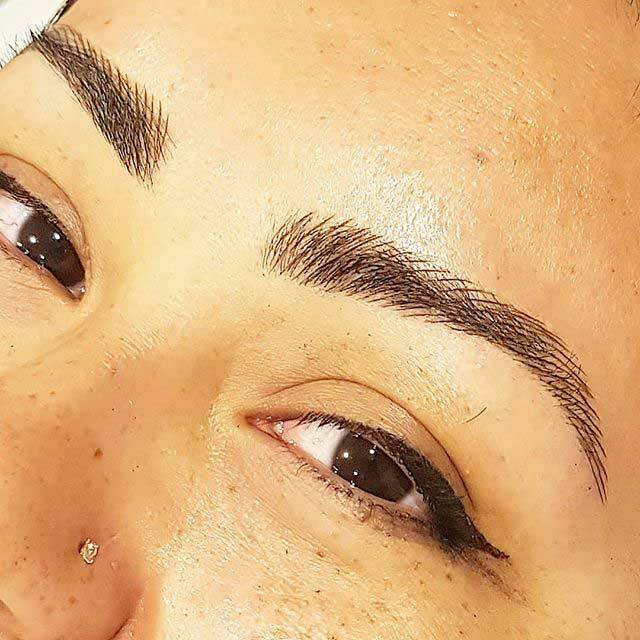 Must discontinue a month before eyebrow service. Use of Latisse/Eye Envy/Eyebrow growth agent Skin will be hypersensitive and bleed easily. Please discontinue 2 months before service. Using any of these medications: Accutane, Retin-A, Triflusal (Disgren), Clopidogrel (Plavix), Prasugrel (Effient), Ticagrelor (Brilinta), Ticlopidine (Ticlid), Cilostazol (Pletal), Vorapaxar (Zontivity), Dipyridamole (Persantine), Coumadin Will cause excessive bleeding and colour will not retain well. You must be at least 18 years of age for this procedure. If you fail to disclose any of the above skin conditions/medical conditions/medications, you will have a poor outcome and further touch-ups to improve the results will be at an additional cost or treatment may be declined by Studio Heather. A sensitivity patch test for the pigments and products used for this service is an option offered to all new clients. This has to be done any time before or at least 2 hours ahead of the booked appointment date. However, if you wish to not have this done, you can sign a waiver and therefore release Studio Heather from liability. Please understand there are traces of nickel in some needles and pigments and that this may affect you if you have an allergy to nickel. The sensitivity patch test will not always confirm or determine conclusively if you have an allergy to nickel or whether you will have a reaction.